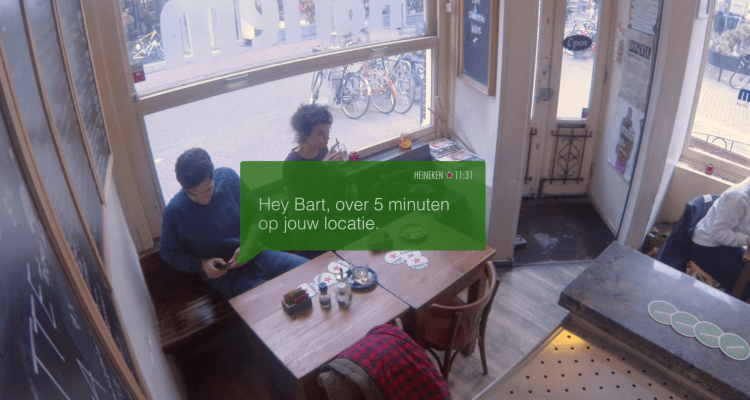 Heineken gave men from Amsterdam the opportunity to surprise their loved one with a matchless love message. In the days before Valentine's Day, several men were approach through social media and posters in public places such as cafes. They were asked if they were willing to surprise their loved ones in a special way. Even bloggers were activated, which pushed the action. For this campaign, Heineken worked with advertising agency TWBA\Neboko, production and unbranded, and mobile service provider CM, which ensured that the text messages arrived at that crucial time. The men who signed up for the stunt, had to give Heineken their time and location for when and where the surprise should occur. And Heineken did the rest. Men who had registered were just ahead of an SMS message from the brewer that a plane would fly over with the message ‘This is for you, baby’ on the towed banner behind the plane. The result: Women having the Valentine's Day of their lives. And the men have another year to think about a new original Valentine’s Day surprise. How did heineken do it?